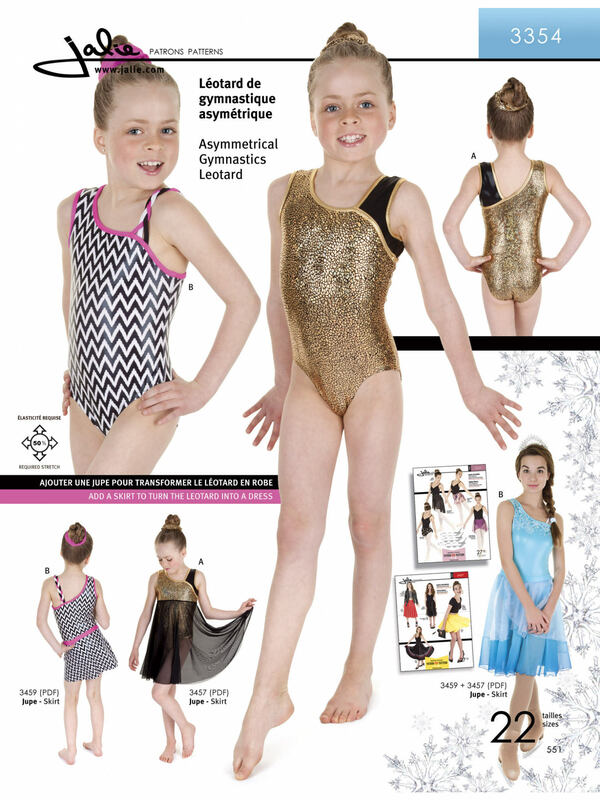 Package includes patterns and instructions to make Asymmetrical Gymnastics Leotard with Contrast Strap. Tank gymnastics leotard with asymmetrical neckline and contrast binding. View A has a wide contrast strap and View B has a triple shoulder strap. 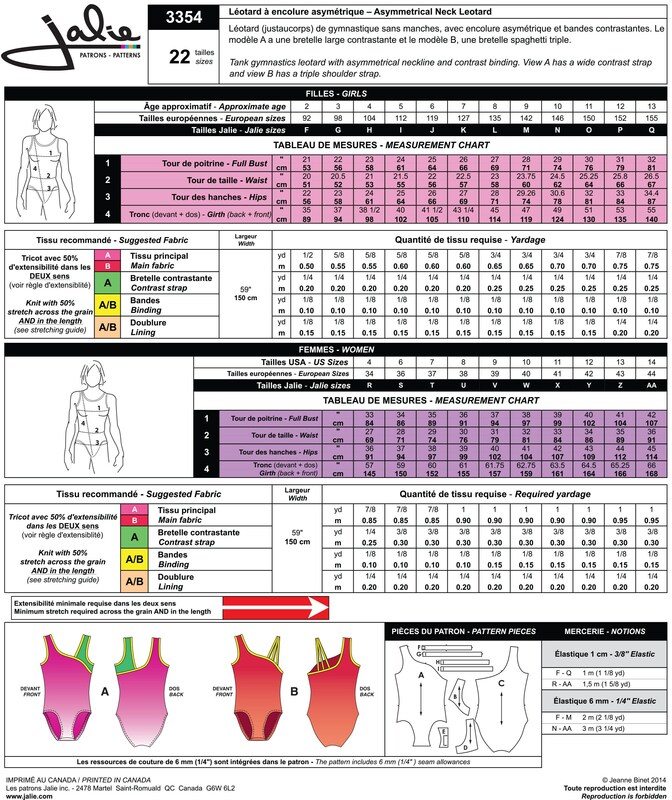 Great for Competition Dance / Acro too!